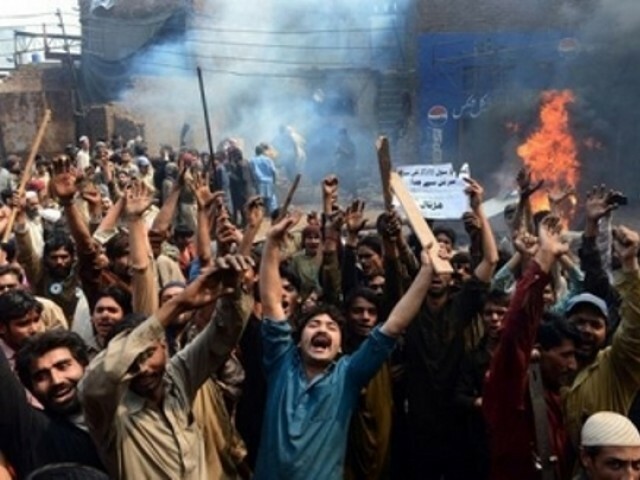 Is Pakistan the only country in the world that is facing sectarian violence in today’s world? Can we expect Pakistan to overcome it in the coming years? With a huge population, widespread poverty and various non-state actors, it may take Pakistan many years to fight this menace but it is not impossible to take this challenge head-on. We have the example of Belgium before us, which resolved this problem successfully. Belgium – a small but ethnically diverse country in the heart of Europe consisting of French, German and Dutch-speaking population – took over four centuries to learn the lesson of peaceful coexistence. With a population of just 11 million and a small land mass, Belgium is 26 times smaller than Pakistan. Its deputy head of mission in Pakistan, Dr Stephane Mund, recently delivered a lecture at Area Study Centre for Europe at the University of Karachi. In his address, he said that his country has triumphed over not only sectarian conflicts that existed between Catholics and Protestants in the 16th and 17th centuries, but also over recent ethnic and language issues. “Until recently, we had ethnic and language issues but we decided to listen to each other,” said Mund. Belgium was the battleground of Europe for centuries as it had no natural protection from its big neighbouring countries. For centuries, armies of almost every big power of Europe have fought on its land for resources and power. Being a small country, it always relied on active trade with its neighbours – something which contributed to its economic growth. Today, it is among the top 10 trading nations of the world with most of its trade occurring with its neighbouring countries. Here is another lesson for Pakistan: whatever differences you have with your neighbours, keep your lines of trade open with them. There are no two opinions that Europe took centuries to overcome sectarian violence but at least it systematically tried to achieve peace. Regardless of the bloody history of Western Europe, the fact of the matter is that it has not witnessed a war in the last six decades – when it decided to end wars and violence in the continent after World War II. If it takes centuries for Belgium to overcome its sectarian violence; sorry, Pakistan can’t take those anger management classes. No body is denying the will to tackle these Issues, one sure step is deweaponization of Pakistan as a whole, then put an end to protocol culture and most important writ and rule of law. Where if you kill a man for religious animosity or sectarian animosity swift execution after the duo process no plea bargains. The differences between the two countries is so vast that even attempting to make a comparison just comes across as wrong. Question : Can Pakistan learn from Belgium ? Answer : Of course. As we stand today Pakistan can learn from 95 % of the countries in the world. The moot point is, that do we want to learn ? fo Pete’s sake why choose Belgium as a model? Belgium has no legitamcy to be a country other than it has a King! Farhan, you said it yourself, it has th population made up of French, Gemans an Dutch. The county for months had no effective Govrnment. It is not the question of language but the productivity. The french speaking valons are lazy and foul, whereas the German speaking are hard working and productive. The central Government system ensures equal shaing though balancing among the provinces and this year after year has caused resentment among them. The only lesson to learn from Belgium is that even rich educated societies are not immune from virus of ethnic and linguistic separatism. Please! Don’t keep your hopes too high. Pakistan has been a failed state from it’s infancy and is definitely doomed to destruction. The kind of cultural and racial diversity and hatred based on their differences we have here can NEVER allow for peaceful coexistence. I used the word “racial” here because the nationalistic differences are treated by the people themselves as good as racial. Take the example of Sindhis and Punjabis and the social conflict between them. I started reading it in the hope that the author has uncovered a silver bullet to achieve this unity from the Belgium experience. However the article has no such prescriptions. Basically its a no-brainer, reiterated over and over – Adopt a constitution separating the Church/Mosque and the State., relegate religion to the background and let it be a private affair of the citizen. There are around 900 000 muslims in Belgium. I said the number of Muslims who wore the burqa. Please read this. There are no model countries or Nations for Pakistan to follow!! The majority of the people In your country are believers. They are what the scriptures say they are, they can be what the sciptures say they can be; they need not fear nor take the role of being victims. They cannot be intimidated, though they have allies and enemies who reckon differently. They are the majority and need not take the role of the minority. They are the most powerful force when in unity, tey must carry out constitutional reforms as well as in education sector and the judiciary. Their economic model should reflect the compassion for Ummah, based on the union of Provinces which reflects solidarity and transfer union, each province to organise its resources independently with a loose central Government. Pakistan could look at social market economy as is pacticed in Germany and review how Switzerland allow several languages in different cantons.